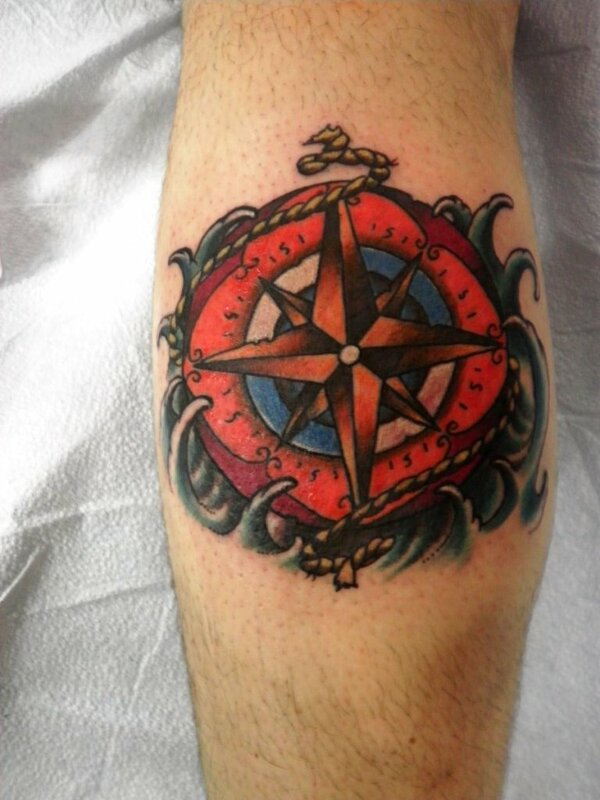 A compass tattoo is among the most popular choices of people who love to travel. Years ago, sailors have themselves inked with a compass tattoo because it symbolizes guidance and direction. We all know how tough it is to travel by sea. We do not know what will happen next, and if you are a sailor, you have surely heard different stories about ships that got lost without any trace. Because of that, they usually resort to Gods and other beliefs to ensure that they will be safe while travelling. One of the many things that they followed was having a compass etched on their skin so as to be protected while in rough waters. Today, modern compass tattoos may be seen on different enthusiasts. They usually improve the meaning of a compass tattoo by adding other symbolic images such as a clock or an hourglass, a map and more. There are also some who love to add meaning on their skin art by adding bible verses and renowned quotes.Here are our 20 Designs And Ideas Of Small Compass Tattoos.Enjoy and get inspired!! !